"It takes all of you to make the Spring Festival a huge success! I am very grateful for your participation and enthusiasm. Please let me know if you have any ideas or ways to improve for next year. 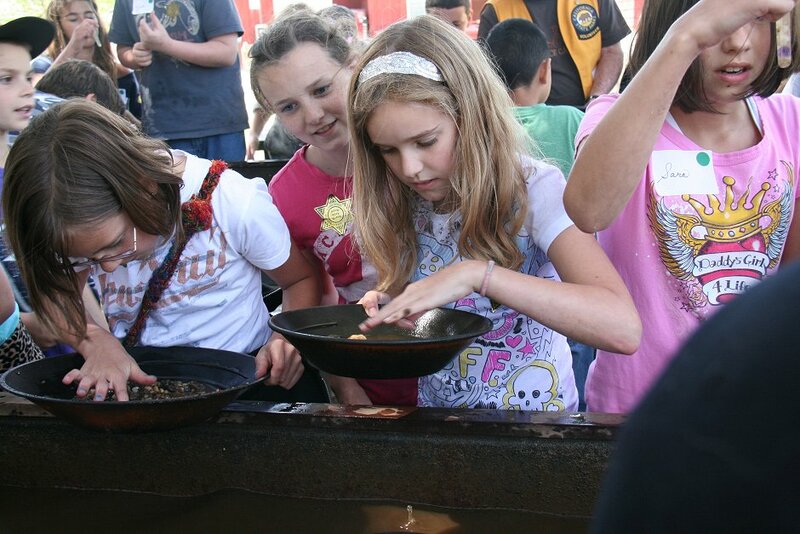 Looking forward to your feedback and seeing you at the Fall Festival." This was a very special weekend, so the Park Association, volunteers, and the California Park staff made it into a three-day event. 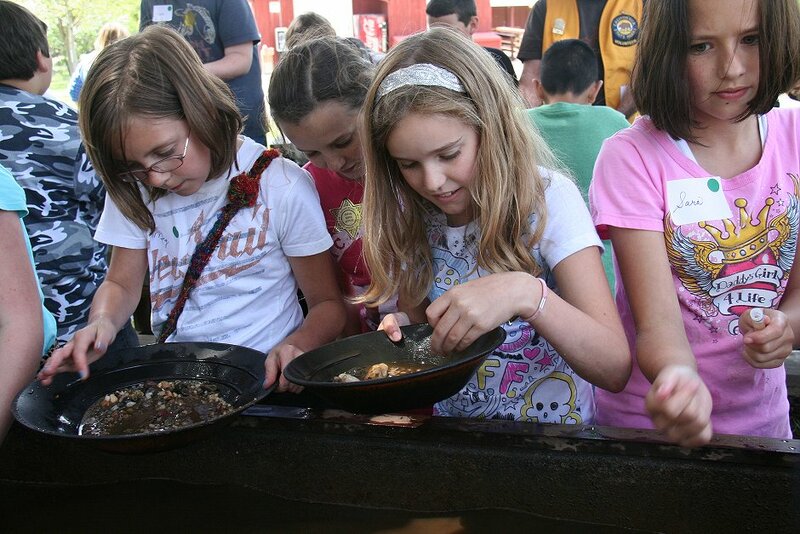 On the first day, 300 local elementary school children were given special tours of the river, spring flowers, the bridge, the barn, and panning for gold. This large group was broken into 150 lower-grade children followed later in the day by 150 children in the upper grades. Each group sang a song of appreciation and love of the river before boarding buses back to their schools. You can see a summary of the second and third days at the links below. Page 2 Day 2, Saturday, April 28, 2012. This was a day of thanks to the many who worked so hard to take SYRSP off the State Parks Department closure list, and celebration of families who lived in what is now Bridgeport, from the Nisenan through the gold rush and on to farming and the Kneebone gas station. A one-act play dramatizing Bridgeport family history was staged this day and repeated twice more on Spring Festival Sunday. Page 3 Day 3, Sunday, April 29, 2012, the public is invited for all activities at Spring Festival and two showings of the play, Voices From Bridgeport Past. 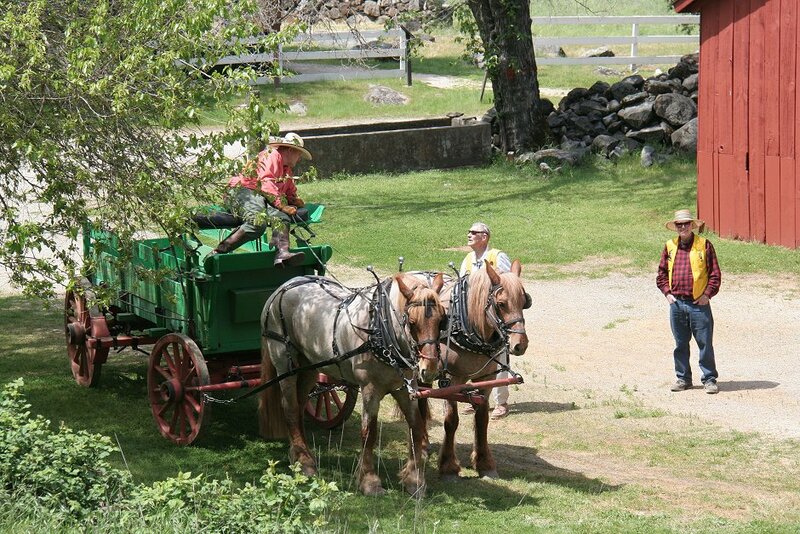 Children learn a bit about draft horses before they tour the barn. 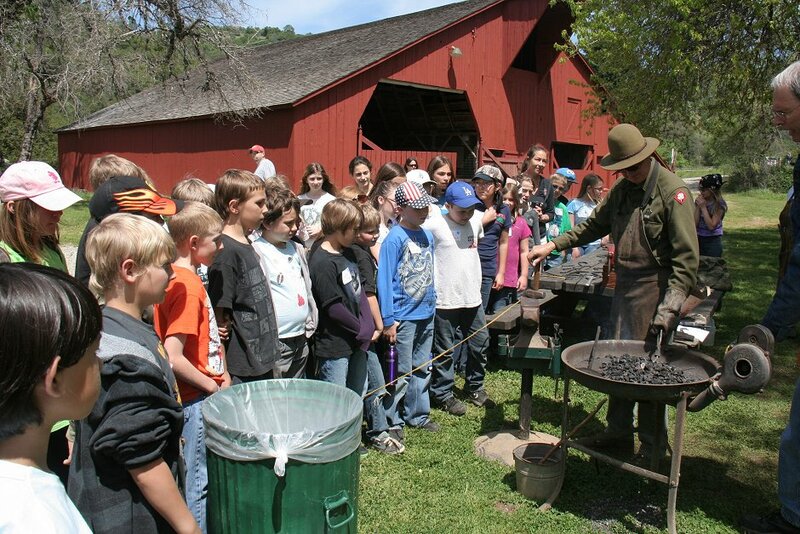 Then they watched blacksmiths making tools and decorative hangers. 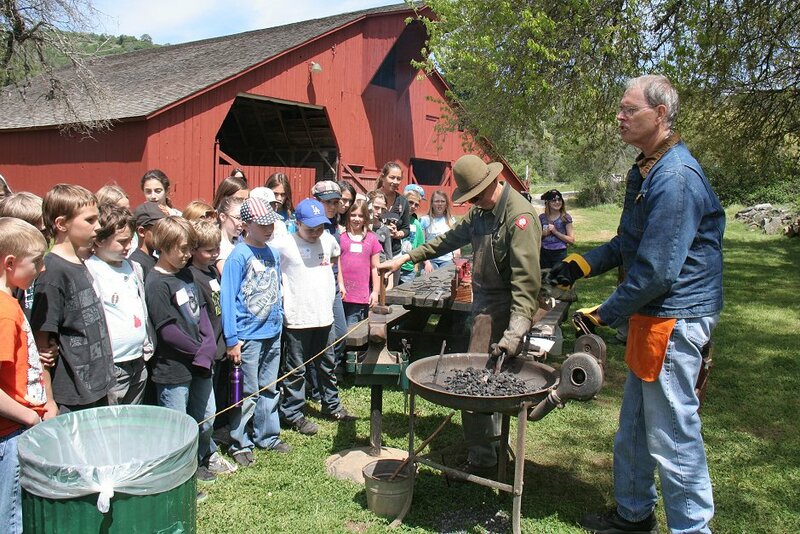 Ray Shepard explains that even their blacksmith tools are pounded from steel, while Denis Monax demonstrates. 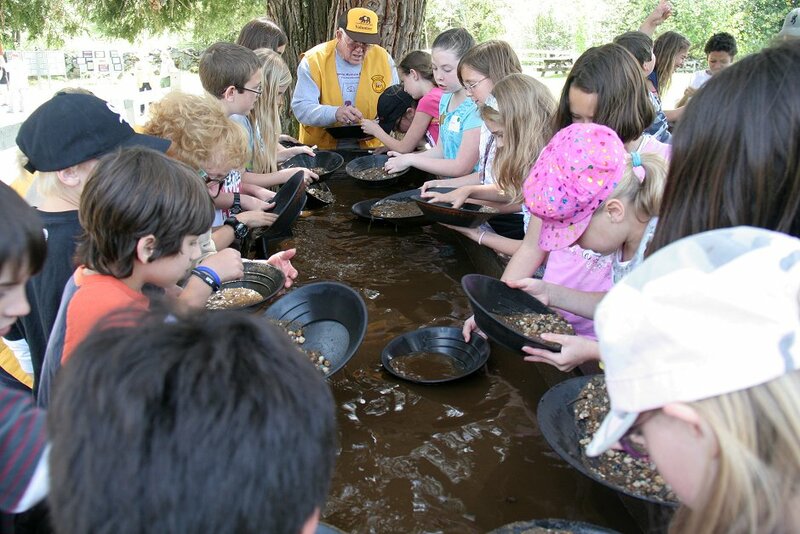 Gold panning is always a favorite with children. Have they struck it rich? 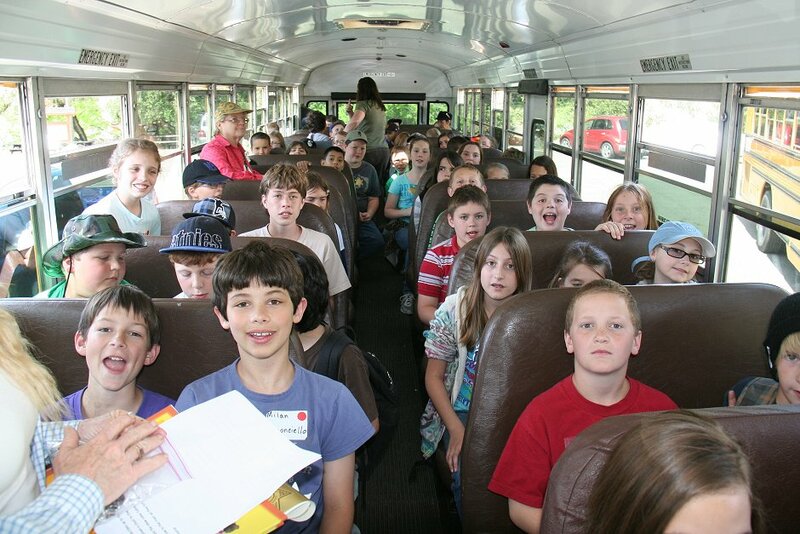 Happy children on their bus back to Pleasant Valley School after a fun learning day at the park. ...and always smiling bus driver. Click in the box below to see a video of activities described above.